The incredibly popular Zerek Tango Shad has grown up; there are now two new, larger models which will be released at the AFTA Trade Show. 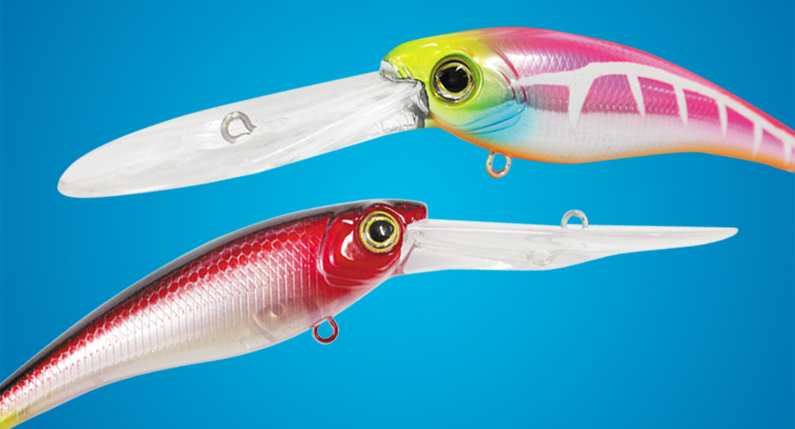 The two new models are the 69mm and 89mm Tango Shads, and they both come in suspending and floating versions. Borrowing heavily from the original Tango Shad, the 69mm version was designed to run at around 2.4m with the same enticing action of the 50mm Tango Shad. This opens the 69mm Tango Shad up to species such as flathead, big bream, jacks, golden perch, trout and barra. The 89mm version was designed to tackle bigger snag-dwellers like barra head-on. Built uncompromisingly tough, the 89mm Tango Shad will troll down to around 3m but when cast into snags, it can be worked with subtle tweaks or fast jerks to bring the strikes. Both new versions are fitted out with the sensational Mustad 4x Saltism treble, specifically designed for lure fishing with an in-line eye to position the hooks perfectly around the lure.